“Shares in house builder Barratt are trading at their lowest level since January 2017 despite a reassuring full-year trading update, which shows further price increases, better-than-expected profit and a higher-than-forecast net cash pile, all of which support the company’s plans to pay meaty dividends to shareholders,” says Russ Mould, AJ Bell Investment Director. 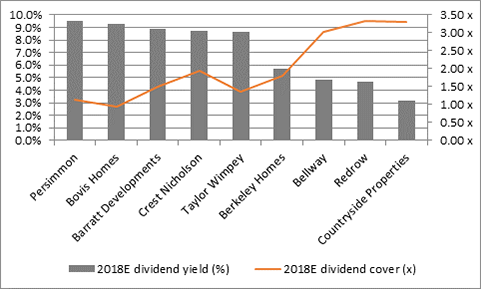 “The combination of a fat dividend yield and a relatively lowly valuation on earnings reflects ongoing concerns amongst investors over near-term cost pressures but also the long-term prospects for the UK housing market. 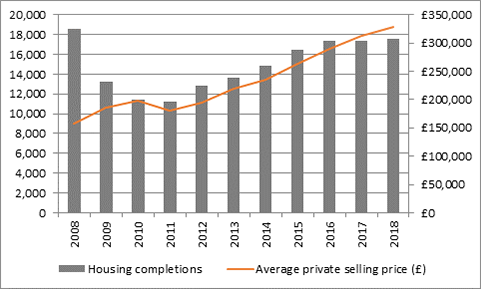 “The imbalance between demand for housing and the supply of dwellings seems as acute as ever – even though Barratt’s completions have reached a 10-year high at 17,579 homes – yet mortgage applications have fallen year-on-year for eight consecutive months. Source: Company accounts. Financial year to June. “While demand may not be a problem, affordability may be. The Bank of England has already warned of the increase in properties sold on the basis of a 95% loan-to-value ratio and an increase in the number of homes sold at 4.5 times income, a threshold where the central bank has imposed a cap on how much banks can lend. “Would-be buyers are having to go to their financial limits to get their chosen property – and that is before interest rates start to rise (not that they are guaranteed to do so). “This may help to explain why even dividend yields of around 9% for stocks such as Barratt and Persimmon are offering relatively little support to their share prices, as investors wonder whether such pay-outs can be sustained, despite the net cash piles which the builders continue to nurture. “Barratt’s management does not seem to share these concerns, given its plans to pay out regular dividend covered some 2.5 times by profits and a further £175 million special dividend for each of the next two year (equivalent to a further 17.3p per share). In addition, the FTSE 100 firm has just spent £934 million on buying land for future development, equivalent to a further 20,951 plots. The chart of the week is written by Russ Mould, AJ Bell’s Investment Director and his team. Investors of a certain vintage will recall the stock-market adage, ‘Sell in May and go away, don’t come back until St Leger Day’. HSBC today reaffirms its buy investment rating on Barratt Developments PLC (LON:BDEV) and raised its price target to 770p (from 620p). Peel Hunt today reaffirms its add investment rating on Barratt Developments PLC (LON:BDEV) and raised its price target to 575p (from 510p).